With the extra thick cushions & with flowing natural colour tone weave, constructed from comfy High foam density, and additional scatter cushions as well. The 2 side tables are perfect for the drinks and the important sunscreen, with a Canopy that can be pushed back to suit the weather, offers even more protection from the sun. 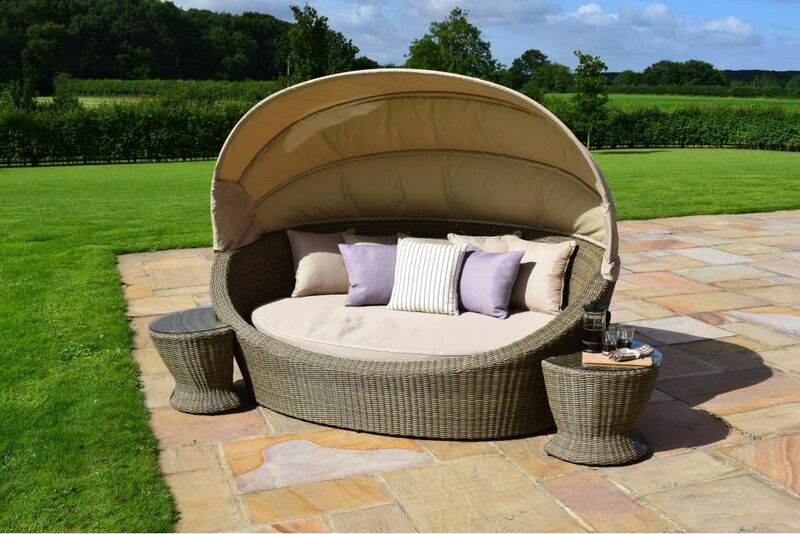 Woven onto a powder coated aluminium frame that is rust proof, the sturdy and durable rattan garden furniture is both functional and practical. The cushions are colour fast, showerproof and fire retardant, but should be stored inside when not in use.